To claim this profile, please confirm you are Jordan Frazier. To follow this profile, please let us know your relationship to Jordan Frazier. Jordan was tagged in the video "Jordan Frazier's highlight vs. Tulsa NOAH." Jordan was tagged in the video "Jordan Frazier's highlight vs. Oklahoma City Legion." 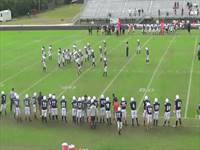 Jordan was tagged in the video "Jordan Frazier's highlight vs. Prime Prep Academy." 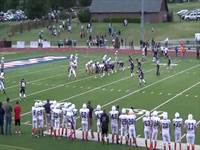 Jordan was tagged in the video "Jordan Frazier's highlight vs. Cascia Hall." Jordan was tagged in the video "Jordan Frazier's highlight vs. Christ Preparatory." 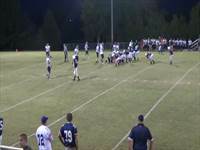 Jordan was tagged in the video "Jordan Frazier's highlight vs. Community Christian." 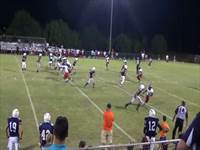 Jordan was tagged in the video "Jordan Frazier's highlight vs. Macon Road Baptist." 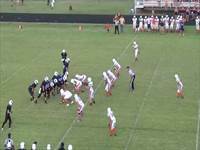 Jordan was tagged in the video "Jordan Frazier's highlight vs. Central Virginia Hom." 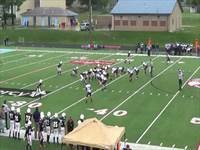 Jordan was tagged in the video "Jordan Frazier's highlight vs. Dallas HSAA." RESULTWin Varsity football vs. CVDHS. 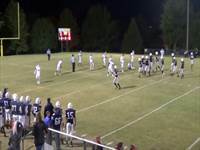 The Lighthouse Christian varsity football team won Saturday's neutral playoff game against Central Virginia Disciples (Richmond, VA) by a score of 19-12. RESULTWin Varsity football vs. CHEF. 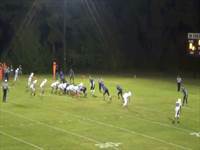 The Lighthouse Christian varsity football team won Thursday's neutral playoff game against Christian Home Educators Fellowship (Baton Rouge, LA) by a score of 42-0. Jordan's football stats have been updated for the win @ Christ Prep Academy. RESULTWin Varsity football @ Christ Prep Academy. 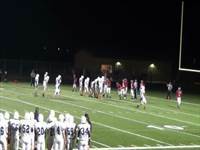 The Lighthouse Christian varsity football team won Friday's away conference game against rival school Christ Prep Academy (Lenexa, KS) by a score of 28-12. Jordan's football stats have been updated for the win vs. Oklahoma City Legion. RESULTWin Varsity football vs. Oklahoma City Legion. The Lighthouse Christian varsity football team won Friday's neutral non-conference game against Oklahoma City Legion (Bethany, OK) by a score of 20-6. Jordan's football stats have been updated for the win @ Macon Road Baptist. RESULTWin Varsity football @ Macon Road Baptist. The Lighthouse Christian varsity football team won Friday's away non-conference game against Macon Road Baptist (Memphis, TN) by a score of 40-6. Jordan's football stats have been updated for the win vs. Dallas HSAA Blue. RESULTWin Varsity football vs. Dallas HSAA Blue. The Lighthouse Christian varsity football team won Friday's neutral non-conference game against Dallas HSAA Blue (Plano, TX) by a score of 53-33.